New York City! 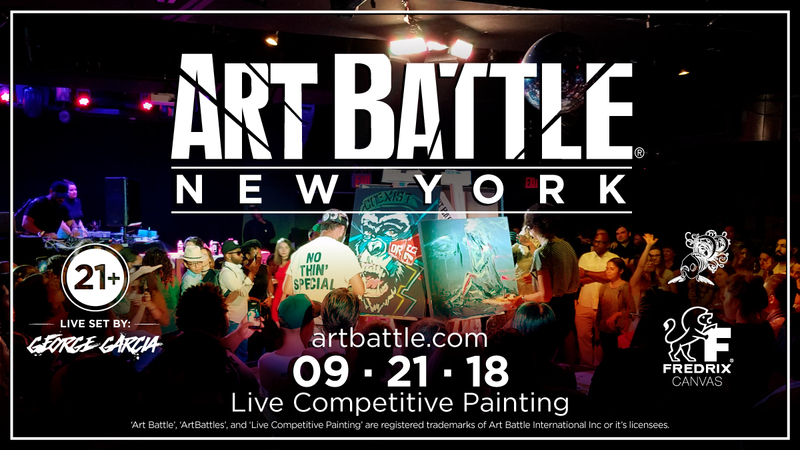 Art Battle International live competitive painting series, connecting the amazing New York live painting community to the world. 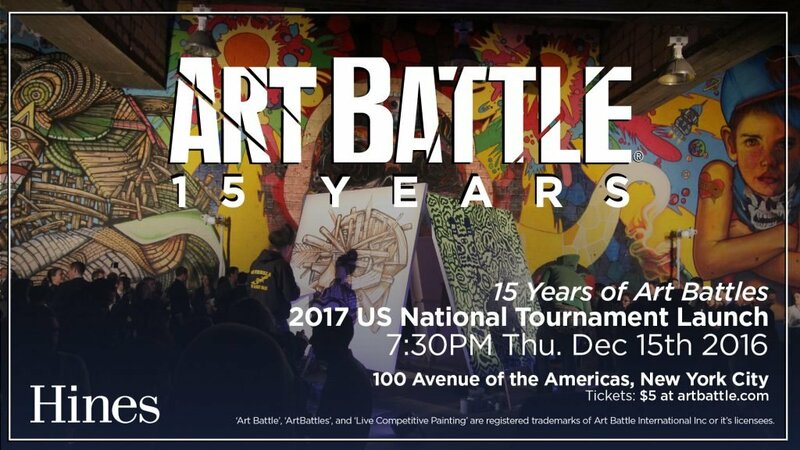 12 artists compete in timed rounds of live painting, it’s a sizzling night of creation and celebration. It’s a wild night, great music, paint flies and masterpieces are created before your eyes. 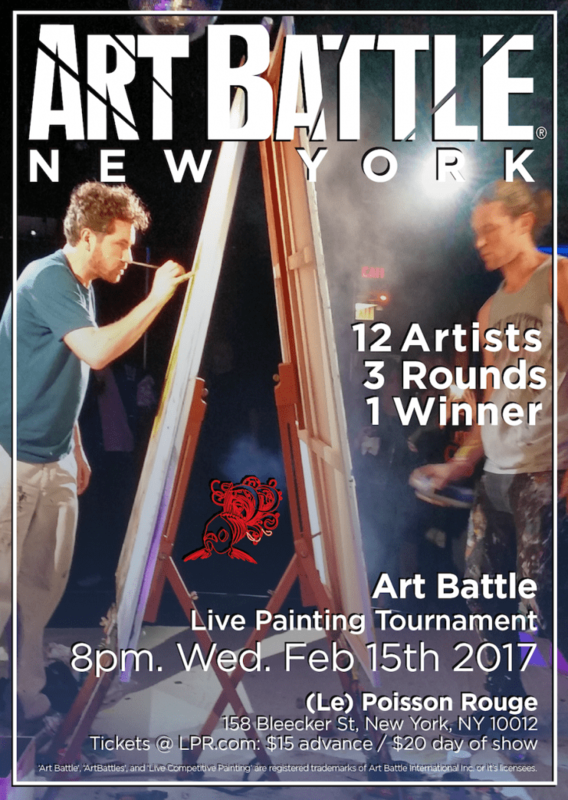 *Art Battle New York is proudly sponsored by Fredrix Artist Canvas!